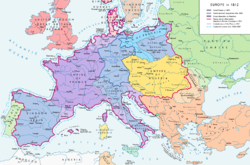 The First French Empire at its greatest extent in 1812. The French Empire an sphere o influence in 1812. 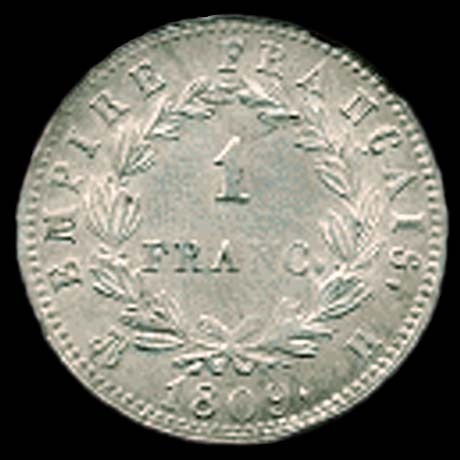 The First French Empire (French: Empire Français), wis the empire o Napoleon Bonaparte o Fraunce an the dominant pouer in much o continental Europe at the beginnin o the 19t century. 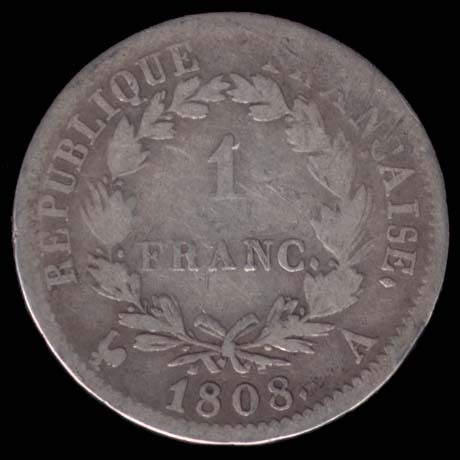 ↑ 1.0 1.1 But still domestically styled as French Republic until 1808: compare the French franc minted in 1808  and in 1809 , as well as Article 1 of the Constitution of the Year XII, which reads in English "The Government of the Republic is vested in an Emperor, who takes the title of Emperor of the French." This page wis last eeditit on 6 Apryle 2018, at 06:30.